Sometimes I go to weddings- my classmate from (Osmania) engineering college provided me with an opportunity in Pune, when his daughter got married the other day. Nice occasion to catch up with friends and their families. Mini-reunion of sorts. My occasional golfing partner Venugopal Reddy is on the extreme right. We played at the Delhi Golf Club a few times while he was there. He was with Indian Railways for a long time. 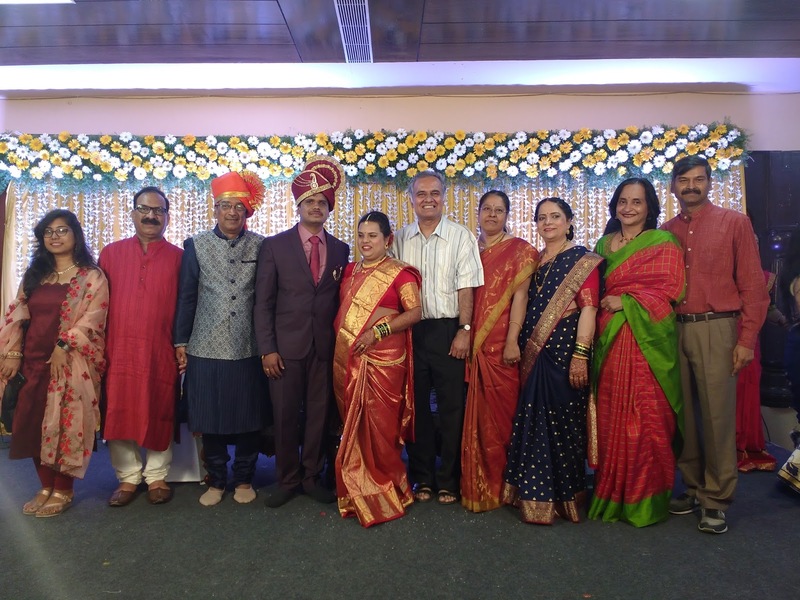 The bride's father in orange headgear, is an Engineer with Engineers India. Another friend, Krishnamurthy, is with Powergrid Corporation. All successful and about to retire, while my work life is extended on account of retirement age being 65 for faculty..how I envy them!